 Brian Lynch & Associates Solicitors is a leading Irish law firm located at Courthouse Square, Galway City. Going to your solicitor can be, for the most of us, a very daunting experience. At Brian Lynch & Associates we will take on board all your troubles. Born out of the ambitions and confidence of our dynamic and visionary founder, collectively Brian Lynch & Associates has built up the knowledge and expertise over the years in a wide range of legal areas to provide you with a unique and rewarding experience. We will put you at ease no matter how big or how small your problem is. We are results driven and tailored made to meet your needs and our achievements over the years ensures a legacy that you can trust and be satisfied with.